Home Android Tips & Tricks How to Transfer Large Files from one Device to Another? How to Transfer Large Files from one Device to Another? In this blog, we will explore how we can share big files between two Android Devices. To get started the first thing we need to do is to download the ES File Explorer Android App from the Google Play Store. The ES File Explorer is a fully legit File and Application Manager with lots of amazing features. The best thing about the app is that it's totally Free. Once you have downloaded the ES File Explorer app to your device, the next thing that we need to do is create a Hotspot connection on either one of the devices. To do that open the Android phone settings and look for the option of Tethering & Portable Hotspot under the Wireless and Network Settings. Tab on the option and put a check against Portable Wi-Fi Hotspot. 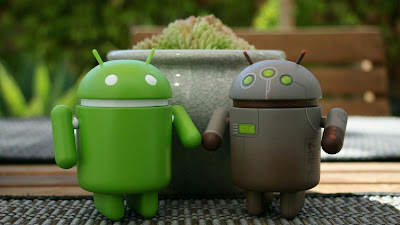 Now, once you have activated the option, your Android Device will broadcast a Wi-Fi network on which another device can connect too. So, to connect the other device open the Android Phone Settings and turn on the Wi-Fi. Once both the devices are connected, navigate to the home screen and Launch the ES File Explorer on both the devices. Now to transfer a file from one device to another, you need to long tap on the File and once you see a check mark you need to click on the More option and select the option Send. Once you see the device to which you want to transfer the file too, put a check against it and tap the option Send. You will find the Confirmation dialog box that appears on the next device. Here, confirm your action and select the directory to which you to transfer the file too. Tap OK and wait for the files to be transferred. Now, you will see that the transfer speed will around 1.2 to 1.3 Mbps which is really great when computer the Bluetooth Services on the same devices. The speed can reach up to around 3 to 3.5 Mbps and it really depends upon which device you are using, the speed of the memory card i.e, being installed on either of the devices. So, do try the trick and let us know what you feel about it.